Users must complete all required fields for the event or meeting. A final room confirmation for requests will be sent by the VEMS coordinator within two business days. Online reservations may be made no less than 18 hours prior to the event. When reserving rooms less than 18 hours ahead, please e-mail your request to swrooms@columbia.edu. If the room is available, you will receive an e-mail confirmation. For more Information on Policies, Room Types, Floor Plans, AV Services, and Fees, please click on the gray headers below. 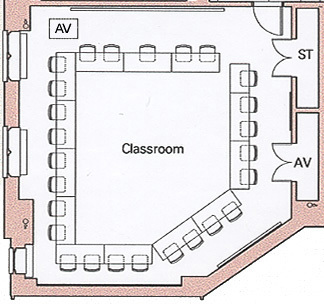 Through your (V)EMS account, you may directly reserve conference rooms and request classrooms and breakout rooms. 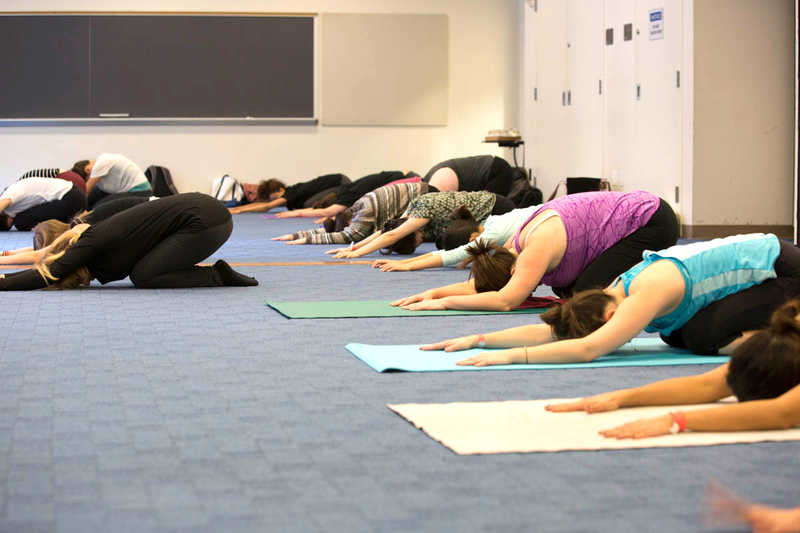 NOTE: For classroom reservation requests less than 18 hours in advance, please e-mail swrooms@columbia.edu. 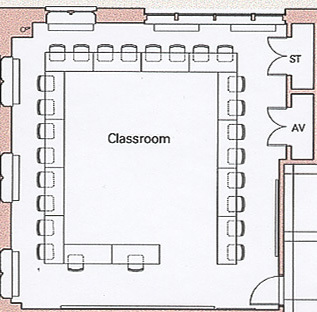 If you would like to reserve classrooms, conference rooms, or breakout rooms, please check room availability and then send an e-mail request to Instructional Support Services (ISS): ssw-iss@columbia.edu. NOTE: Instructors who would like to make a one-time classroom switch, combine classes, or extend class time should e-mail Instructional Support Services (ISS) at ssw-iss@columbia.edu. ISS will coordinate the changes, after which Room Reservations will update EMS. Check room availability on (V)EMS. E-mail the form to swrooms@columbia.edu. Please log in to your Virtual EMS account to check room availability and reserve a room. NOTE: For login assistance, please contact swrooms@columbia.edu. Recognized students groups may reserve rooms and common areas on floors 4, 3, 2, and the concourse level. For further information and assistance, please contact the Program & Events Coordinator at swstudevent@columbia.edu, in the Office of Student Services. Questions? Please e-mail swrooms@columbia.edu. Please send your room reservation request to swrmrental@columbia.edu. If you are not affiliated with Columbia University, please review our Building Use Policy (PDF: 3 pages) and complete the Building Use Agreement (PDF: 3 pages). Send completed form and request to swrmrental@columbia.edu. 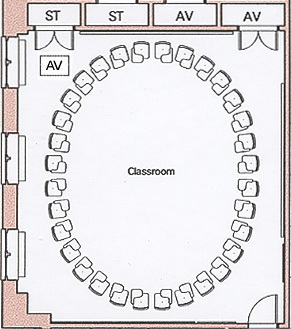 Classrooms have a Dell Optiplex computer with high-speed Internet connection, a projection system, DVD/CD player, VCR, and audio system. Overhead projectors are available on request. Requests must be made two business days in advance. 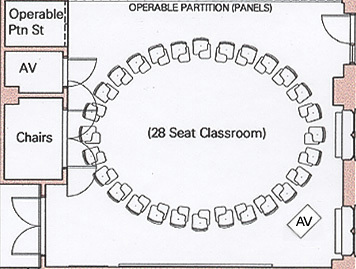 Designed for small classes, seminar rooms include a Dell Optiplex computer, a projection system, DVD/CD player, VCR, audio system, and wireless network capability. 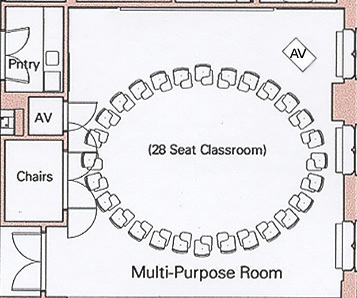 Designed for small group meetings, conference rooms include a wireless creston control panel, high-speed Internet connection, a projection system, DVD/CD player, VCR, audio system, and wireless network capability. 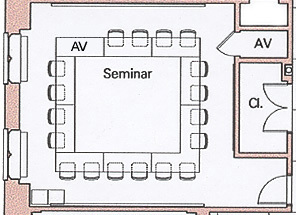 There is a network connection and power located in a floor box under the conference room table for laptop connectivity. It is strongly encouraged to test your laptop prior to the start of your meeting. 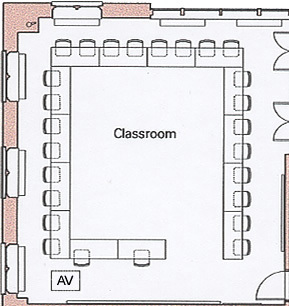 If you would like an AV orientation to a conference room, please email your request to swav@columbia.edu with a minimum of two business days’ notice. 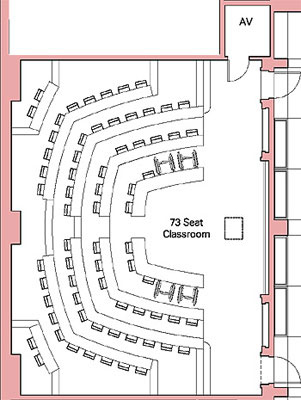 Case-study rooms have fixed desks and tiered seating. 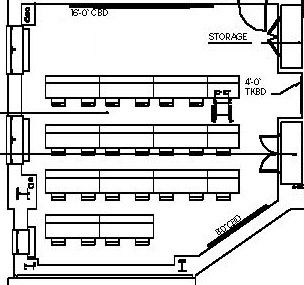 There is a podium at the front of the room with a microphone, Dell Optiplex computer with high-speed Internet connection, a projection system, DVD/CD player, VCR, and audio system. 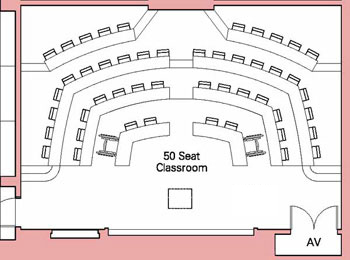 This room has video conference capabilities, with 2 projectors, microphones at every other seat. Requests must be made in writing two months in advance. Equipped with 25 Dell Optiplex stations as well as an Instructor Desk, the electronic classroom is designed and used for lab exercises. 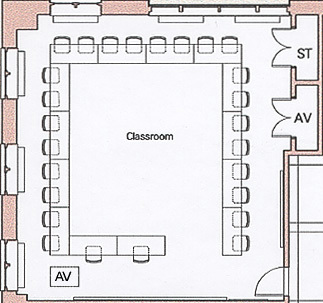 It can function as either an electronic classroom with student computers or as a traditional classroom with desk space. 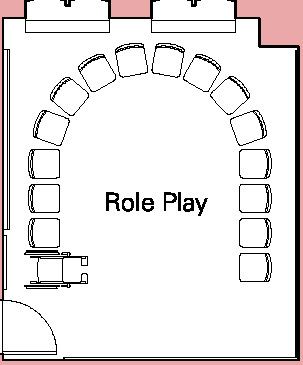 Role-play rooms are used to video-record client interviews and mock client interviews for review. 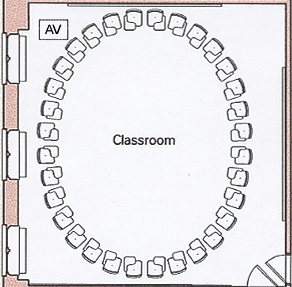 Microphones and digital cameras are installed in these rooms and can send signals back to the CMHE for distribution. 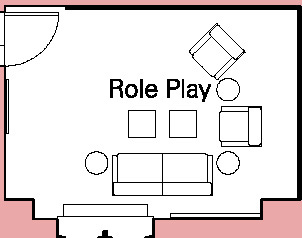 These rooms are designed to accommodate small groups. There is no AV equipment, but wireless network is available. The fees listed below are for events up to eight hours long, and are subject to change without notice. Certain events depending on the day, time and room may require charges. For Columbia University or CSSW events, custodial charges are billed directly from Columbia University Facilities. This is just a guide to calculate an estimate for your event. There is a 1-hour minimum for cleanup after each event. If custodial staff is needed after 2:30pm Monday-Friday and at any time on weekends for an event, there is a 4-hour minimum. If there will be food served for an event, custodial clean-up is mandatory and you will be charged.